Home / Opinion / Are Texas lawmakers done with drama or just saving it up for later? 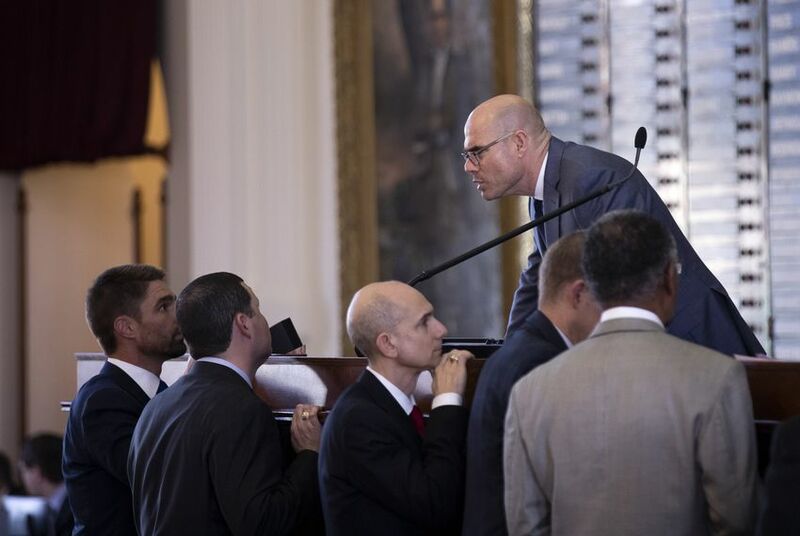 Are Texas lawmakers done with drama or just saving it up for later? A vote on an across-the-board teacher pay raise was withdrawn after a threat of a point of order that would have prevented debate. A vote on expanding Medicaid — a big issue for some Democrats and, more privately, for a couple of dozen Republicans — failed 80-66, without raised voices or angry words. An amendment that referenced “illegal aliens,” sure to spark partisan tinder, was pulled down when the author got a promise of a smoother path for other legislation dear to him — requiring local governments to say what they spend on lobbyists. A freshman lawmaker swapped a controversial budget amendment for prompter hearings on her pipeline bills. An amendment that would dedicate $2.7 billion to property tax relief bought some of the most conservative Republicans on board.